Business Liability: This coverage helps protect your business from claims and lawsuits alleging injury or property damage that occurred as a result of your business operations such as slip & fall claims or property damage such as a ruined purse from hair coloring. This coverage can also include libel & slander claims. While you focus on making people feel beautiful, let Alaska Service Agency protect your salon business with a great insurance policy tailored to your beauty salon. As an Independent Insurance Agent, we represent the top insurance companies. 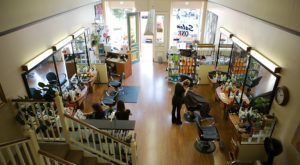 We can get your salon business an insurance quote and ensure you’re covered. Call Alaska Service Agency today at 907-337-2311.